For many, Cinco de Mayo celebrations last as long as the meal and the hangover that follows. 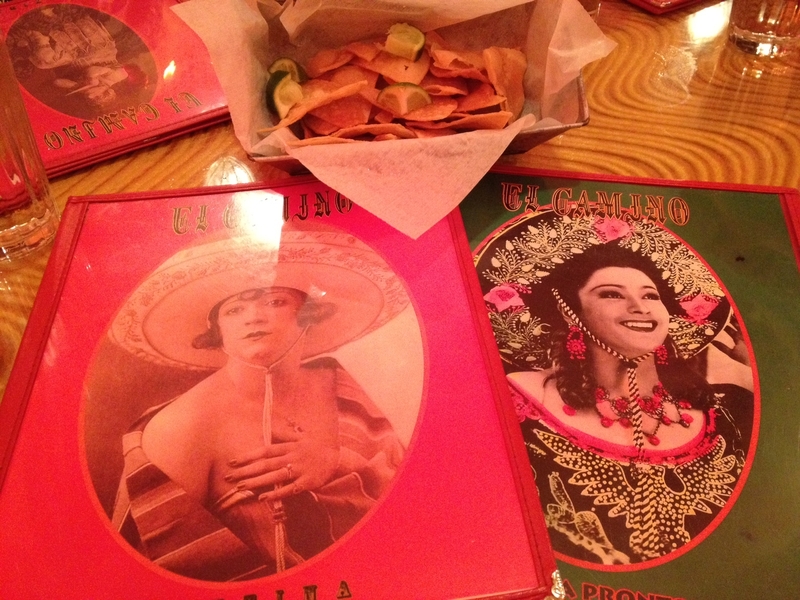 I like to spread out my fun so for me and a few margagogo National Correspondents, Cinco de Mayo was a four-day journey of food, drink and more Maine travel. 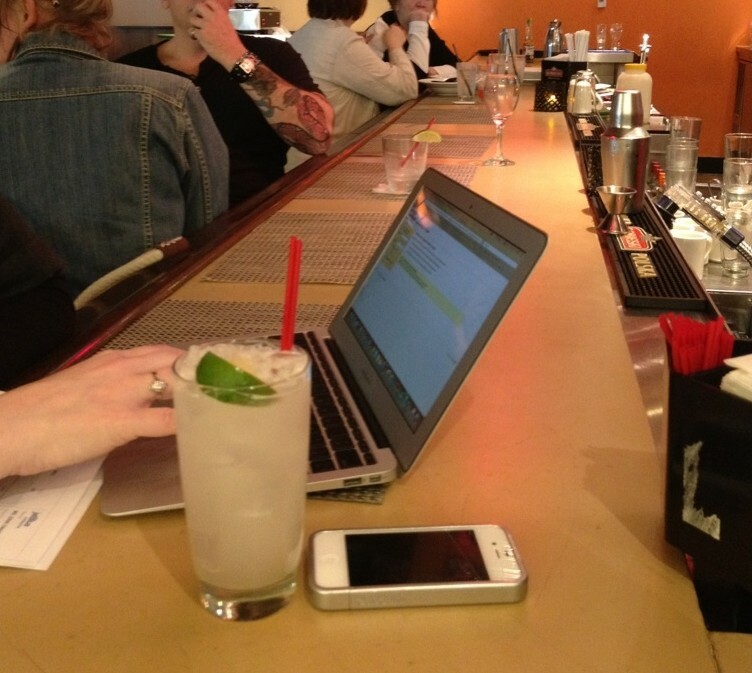 Tres de Mayo: Always working, we fit in a margarita while waiting for a flight in the JetBlue terminal at JFK. Revolucion lured us in with a chalk message on a sign board and the promise of quac. The dream of guacamole wasn’t realized and the margarita was a near miss since the bartender was MIA. As we weighed the pros and cons of self-serve, a harried guy ran into the scene, took our order (two margs, rocks, one with salt and one without) and in a brave attempt to deliver our request, grabbed a salt shaker to shake table salt on a glass. The salt specs skidded off the sleek, dry surface to coat the counter. We give the bartender and “A” for effort, helpfulness and humor. For execution, I need to work out a grading curve for airports. This drink is a classic example of mix abuse – eye-popping sweet and the Milagro tequila he used couldn’t save it. But how high should expectations be in an airport bar? We ended the day in Maine at home making dinner including Scarlet Margs and margarita ice cream. True, these margaritas aren’t traditional but they are happiness in a glass. And the margarita ice cream? I made it late in the afternoon so it wasn’t quite frozen, making it more like a margarita parfait and giving me a new recipe tip – allowing the full freezer time is optional. Quatro de Mayo: The rain didn’t stop the ramp up in fact, it accelerated it. Guacamole, movies and more Scarlet Margs followed by dinner at The Dolphin Restaurant and Marina in Harpswell, Maine. I’ve met lots of people who’ve never been to Maine. If you’re one of those people, the lobster stew at The Dolphin is reason to get in your car now and start driving north. It’s cream and butter and lobster and amazing. I suggest you get a cup (not a bowl) because it’s rich and it comes with a blueberry muffin. If it will make you feel better about yourself, get a salad. But Whatever you do, don’t get the margarita. It was a startling show of mix abuse. I think a pint size serving of margarita is a sure sign of trouble. 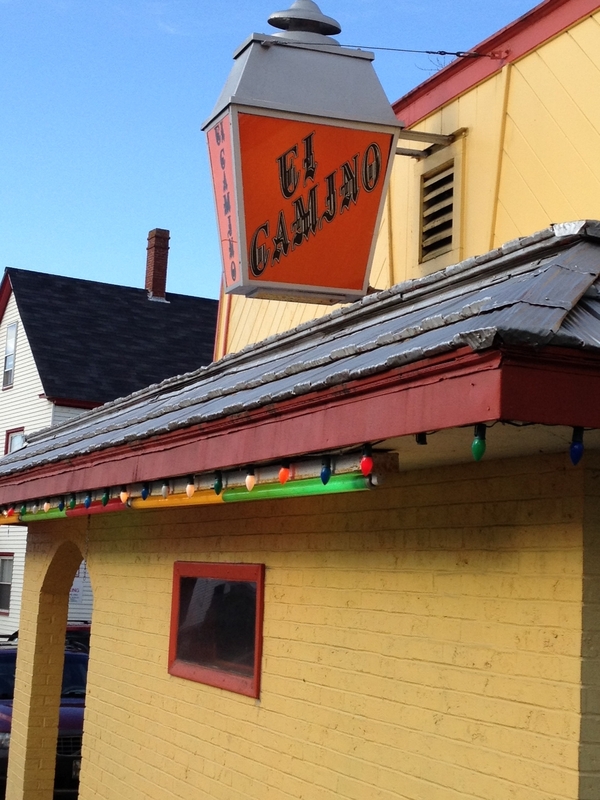 Cinco de Mayo: El Camino, 15 Cushing Street, Brunswick, Maine garnered raves from the Independent Panel of Judges. El Camino embraces the decorating I recommended in my last blog post, they make a mean margarita offering all kinds of tequila and margarita choices and the food is great. I think the group favorite was the special Fundido de Camarones. We aren’t sure how they made it but we’re really glad they did. 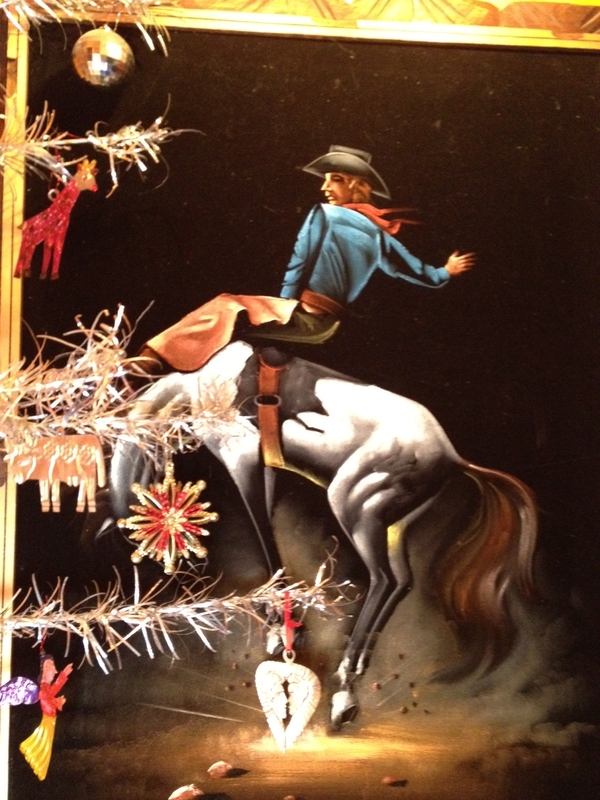 The only problem with El Camino is the hours. It was open from 5PM – 9PM. But when it Maine, do as the Mainers do. You can eat, drink and be home before the sun sets. 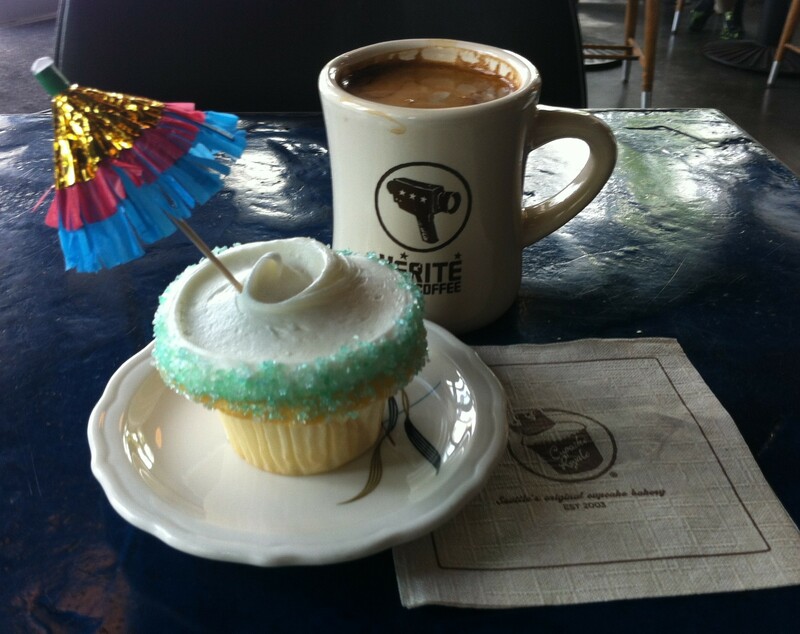 Seis de Mayo: @Foodista tells us that May 6 was “National No Diet Day.” I was thrilled to hear this especially since May is also “National Hamburger Month” but I was fooded out from the Cinco de Mayo ramp up and celebration and I couldn’t take full advantage. So let’s eat to “National No Diet Day” happening more than once a year. So there you have it – Cinco de Mayo wrapped up with an umbrella on top. Coming soon: Peruvian food in NYC. It was good and fun and in Maine! Who knew!